I can't believe it's that time again. London Fashion Week is in full swing and us bloggers are out in style; looking for the latest trends, shooting street photography and catching up with each other. Whether it's the shows, parties or hangouts, there's always so much going on. 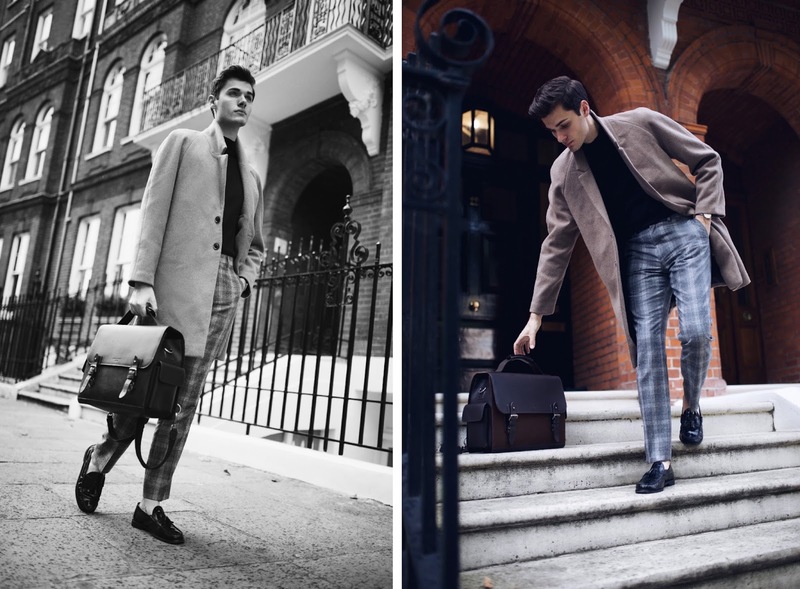 These are pictures from yesterdays antics, shot by the amazing @byollieb, where I of course, had to utilise the opportunity to take my Aspinal of London bag for an outing. People always ask what my favourite thing about blogging is, and I always tell them it's the people I've met. Everyone has always been so supportive, and over the past few months I've made some amazing friends because of it. It's great to have such a diverse group of guys who are willing to help each other out to get ahead in the game. Recently, Aspinal created a list of their Top Male Lifestyle Bloggers, where it was great to see so many familiar faces getting recognition for their hard work. I was so honoured to be featured amongst some very talented guys in the list. (Check it out on their blog if you haven't already). "Aspinal Loves - One of the best stylised blogs around, with a consistent style and colour palette, Sam's Instagram and blog are immediately distinguishable and capture that quintessential modern urban-chic style." Since being sent this bag, I haven't wanted to let it leave my sight. I've been after one like this for such a long time and everyone who's seen my with it has had to try it out. The quality is incredible and the multi-functional strap comes in very handy. I tend to use the backpack option day-to-day, but decided to use the hand strap for Fashion Week. The strap can also be altered to carry on your shoulder if this is more your thing. For the rest of the outfit, I wanted to keep it classic yet stylish. I went for my go to loafer, black merino wool turtle-neck sweater and this pair of amazing checkered wool trousers. The coat was a purchase from last Autumn-Winter but there are similar ones coming back in this year, in a range of different colours. I always appreciate good quality basics as these are the pieces that'll see you through the season no matter how the trends change. I think this could possibly be my main style advice to people when they ask. Classic items stand the test of time and are worth the investment which is why I found this outfit perfect for that quintessential British style and for roaming the streets of London during fashion week.